Recent news..CENTENARIAN “King of Tea” Zhang Tianfu married acrobatic performer Zhang Xiaohong, who is almost half his age, in a grand ceremony attended by friends and relatives. Zhang used to be a close friend of Xiao­hong’s husband, who died of illness two years ago, China Press reported. He had apparently wanted to take care of the widow soon after his friend’s passing and proposed to Xiaohong at a teahouse. The 57-year-old widow had initially rejected the proposal due to the huge age gap between her and Zhang. However, she later agreed to the marriage after feeling touched by Zhang’s continuous overtures. Zhang’s wife died nine years ago. The couple held their wedding ceremony at a five-star hotel in Fuzhou, China last Sunday. The marriage had drawn widespread attention in China, especially among the local tea industry players. 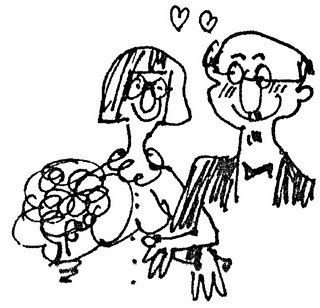 My person view: Who say the old cannot get marry? Just that they need courage, determination and full of love in the heart. Once you lose these attributes in yourself, the desire to live diminishes. The song i never will forget - "Wise men say, only fools rush in. But I can't help falling in love with you." - Elvis Presley.